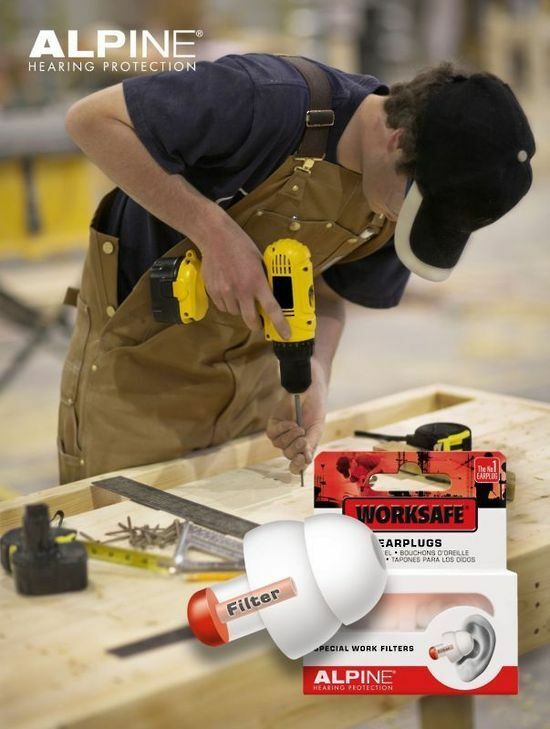 WorkSafe ear plugs have been designed to protect the ears from annoying and harmful noises that many are regularly exposed to during work. The specially designed filter blocks damaging sounds whilst still allowing the wearer to be able to carry out a conversation and hear warning noises. At home or work, you must wear hearing protection during exposure to loud noise to protect your hearing. This includes mowing the lawn, leaf blowing or using power tools. Any extended exposure of noise that reaches a level of 85 decibels will cause permanent damage to the hair cells in the inner ear, leading to hearing loss. Alarms, alerts, warning noises and conversation can still be sufficiently heard. Perfect for every DIY enthusiast. Alpine in particular were founded almost 20 years ago and are focused solely on hearing protection. 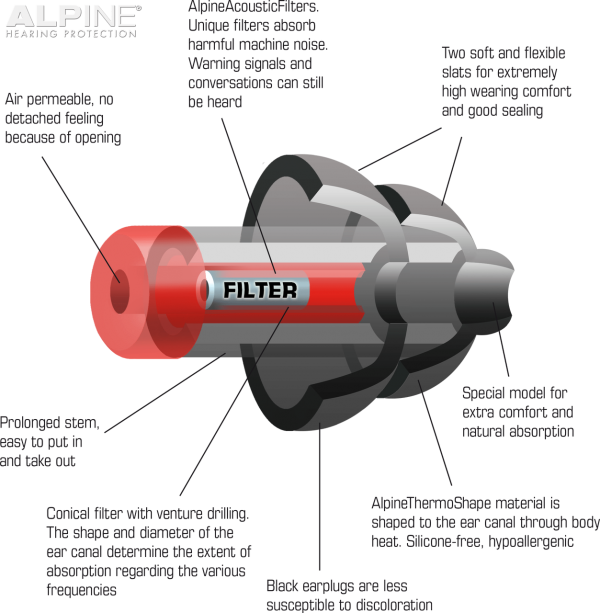 In 2015 we, along with Alpine are happy to bring you their new and improved product range. 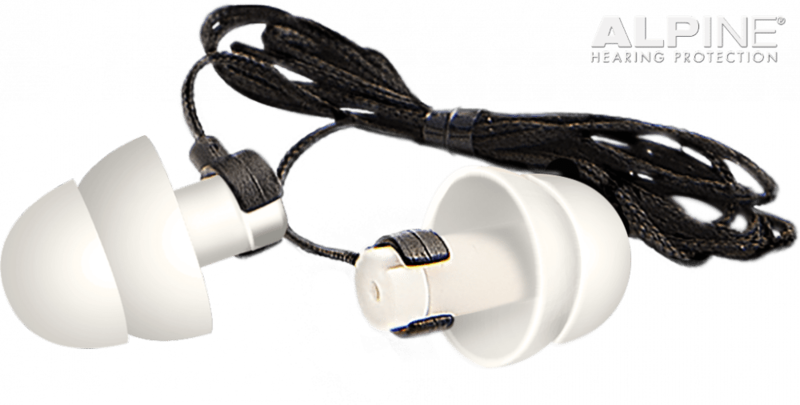 The ever popular WorkSafe Ear Plugs now come with a longer tube to make positioning the plugs and removing them even easier than before. 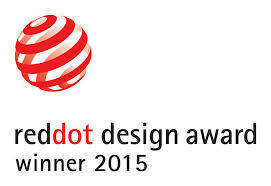 They have also been launched in the modern, on trend, new black colour. Additionally a convenient cord has been added to help ensure you don’t lost your plugs when out and about. 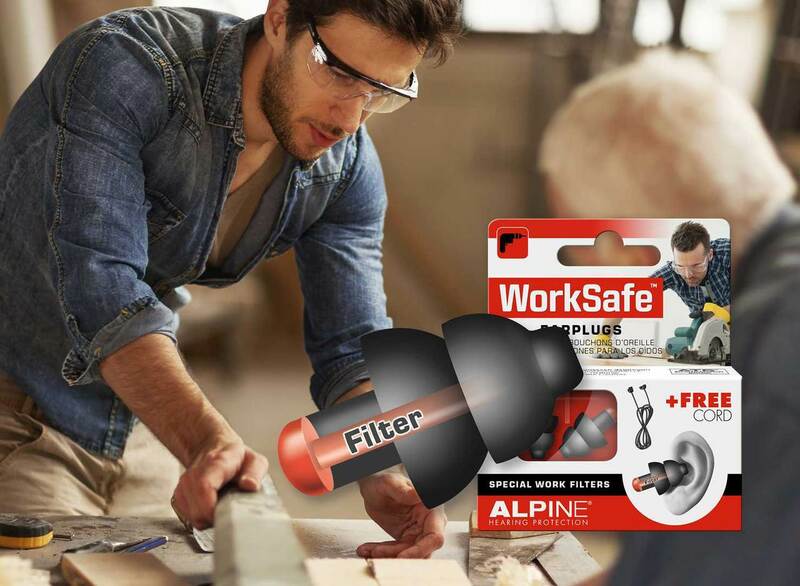 The WorkSafe ear plugs are popular for a myriad of trades from commercial gardeners, tree loppers to builders & industrial workers. The ear plugs have a NRR of 20db. They are often preferred over the soft foam ear plugs as people find them more comfortable. Perfect for every DIY enthusiast, but also very suitable for use on the work floor. 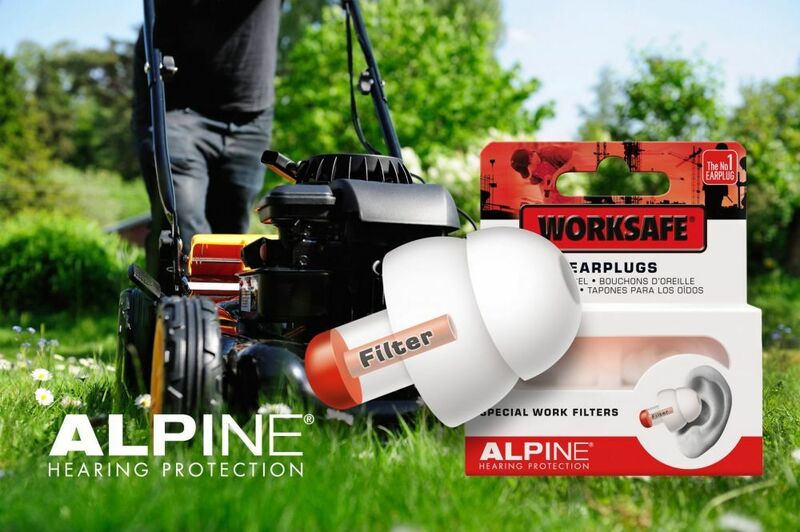 Alpine Worksafe reusable earplugs are just what you need to protect your ears for jobs at home such as lawn mowing or any use of power tools. The patented open duct filters on these Alpine Worksafe will reduce the dangerous range of noises to a safe level but still allow you to hear kids running up behind you, traffic or the call for a well-earned drink break. When inserted into the ear canal the dual-flange silicone Alpine Thermo Shape (ATS™) material softens as it warms and adapts to the shape of your ear duct. This makes them extremely comfortable to wear for long periods of time. 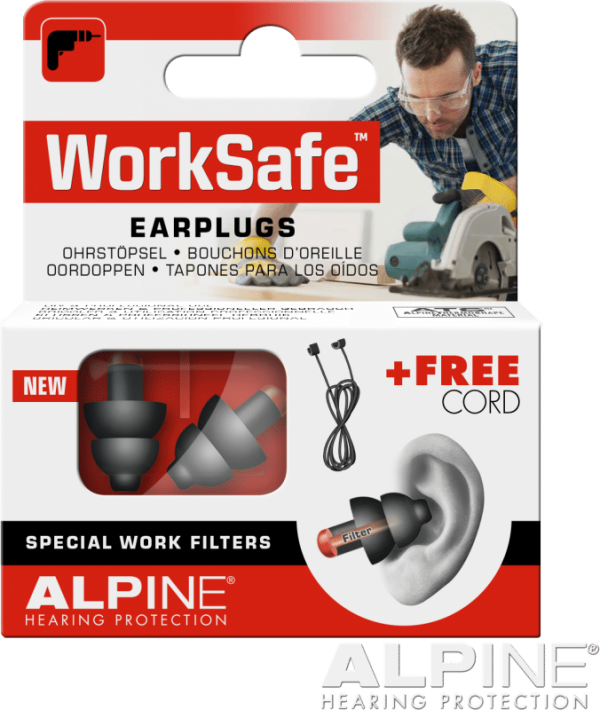 Alpine is now permitted to use the coveted quality seal on the Worksafe Earplugs. 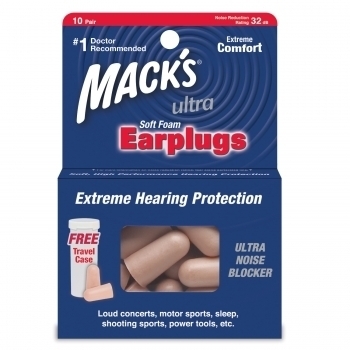 These earplugs are great for cutting out harmful noise, but I can still hear conversation. I wear these earplugs at work, mowing the lawn, leaf blowing around the yard & when we go to concerts. Anytime I am exposed to loud noise for long periods of time really. Unfortunately I left my hearing protection days a little late and suffer from hearing loss already. Don’t be to proud to wear earplugs, if you don’t you’ll wish you did! Tip: Try to keep them clean. If you get in the habit of giving them a wipe (non alcohol hand wipes or rinse them in the hand basin with soapy water) you’ll prolong the life of them. 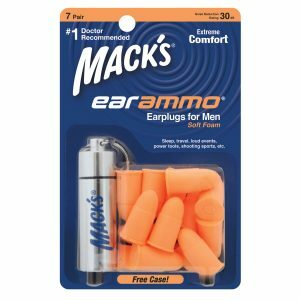 Great earplugs for around the house mowing, whipper snipping, drilling, leaf blower etc. After wearing them I have no ringing in my ears whatsoever. I am a welder and surrounded by noise constantly at work. I don’t find earmuffs comfortable and they get hot. I find these super comfortable & easy to clean, which means I can wear them every day & it saves me money buying disposable ones all the time. They came with a handy little case. Fast delivery, good quality & great price!